How to watch The Last King (2016) on Netflix Netherlands! Sorry, The Last King is not available on Dutch Netflix, but you can unlock it right now in the Netherlands and start watching! With a few simple steps you can change your Netflix region to a country like Pakistan and start watching Pakistani Netflix, which includes The Last King. We'll keep checking Netflix Netherlands for The Last King, and this page will be updated with any changes. 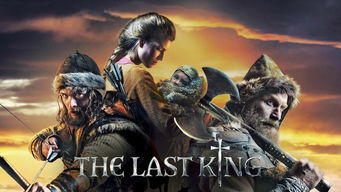 The Last King is not available in Netherlands BUT it can be unlocked and viewed! In 1204, as civil war rages, Norway's dying king entrusts two warriors to protect his infant son against internal forces determined to kill the heir. Norway's infant heir in mortal danger. Unless two rebels walk through fire and flood to protect him. And change history. There is a way to watch The Last King in the Netherlands, even though it isn't currently available on Netflix locally. What you need is a system that lets you change your Netflix country. With a few simple steps you can be watching The Last King and thousands of other titles!